Can one say that a knife can attain cult status? If not, Mora 2000 comes very close to it. When a hunter or fisherman talks about their “Mora” they are most probably referring to this model. 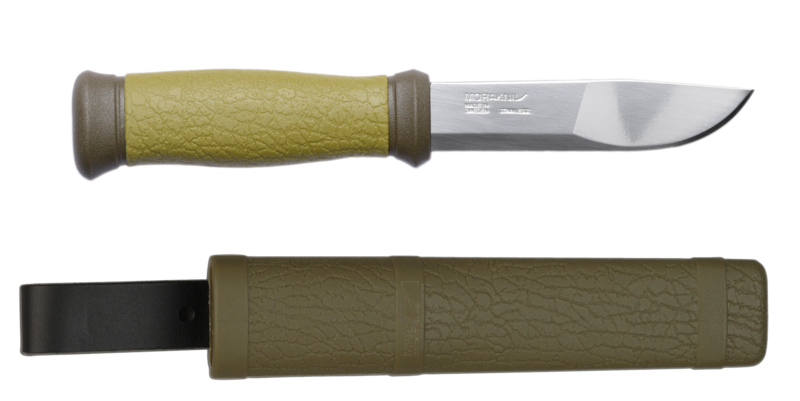 With its profile ground blade of stainless steel and the rubberized grip, it’s understandable that it has shown up on hunting towers, by forest tarns, and next to campfires around Sweden since it was first introduced at the beginning of the 90’s. 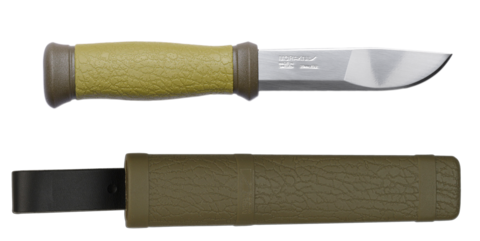 This is a first class all-round knife with profile grinding on the blade making it an optimal choice when taking care of the hunt. The Swedish stainless steel is of the highest quality, hardened and treated in our factory in Mora, according to our secret company recipe. It has a patterned friction grip made of TPE rubber, making the handle safe and firm. Also, the rubber means that the handle doesn’t conduct the cold so working with the knife is equally safe and comfortable any time of year. The polymer knife sheath has an adaptable leather strap so the knife is always close at hand in your belt or rucksack.